So, as some of you have gathered, I’m a little bit of an internet search engine junkie. Before the internet was mainstream, I was confined to outdated encyclopedias (remember the Encarta CD-ROMs?) to fulfill my need to know everything. The good ol’ world-wide web has contributed to filling my mind with a bunch of useless (sometimes useful) information on everything, from “what’s wrong with my car?”, to, “how to turn a light bulb into a mini terrarium” (don’t ask). Lately, my searches have been filled with how-tos on health and wellness, and how to naturally keep these girlish good looks (humble brag?). Some of it has delivered me results that seem, well, a little bizarre to the regular person. I’ve put together the three weird things I’ve done these past few weeks…all in the name of health. I have no clue how I came across this, but once I started reading, I became intrigued. I’m sure it had something to do with the wonderful-ness that is Hey Fran Hey, but of course, I always do my own research before I try anything new (sure). I Googled the whole oil pulling business, and came across this wordy but informative site. The claim is that if you swish some oil in your mouth for 15-20 minutes every day, before you brush your teeth, it’ll help alleviate and cure headaches, toothaches, bronchitis, ulcers, world hunger…amongst other things. So, like the sucker I am, I tried it (using sunflower oil), and I’ve been doing it for a few weeks now. It’s pretty gross at first – I mean, it’s OIL sitting in your mouth, and it’s all yucky looking when you spit it out. I’ll admit, my teeth feel super clean, and my sinuses feel a lot better, but maybe I’m just naive. I’m going to continue to do it though, because I don’t want to be known as a quitter. If you do try it, use something light, like sunflower or sesame seed oil. Dude, I find THE weirdest stuff. I really, really don’t know how and why I decided to try this, but this cute, young-looking 30-year-old has a great video on how to do it. Her claim is that she looks soooo young because she’s been doing facial yoga (it couldn’t be her good genes, no?) for years now. The first day I tried it, I forgot to lock the bathroom door, and my hubby barged in, and laughed at me. The second time, I made sure no one was around and still locked the door. It’s basically facial massage, and doing stuff like, puffing up your cheeks and tapping them to keep them fuller. My face felt nice after I was done doing all this weird stuff to it, and I guess I won’t know if it’s working until about ten years from now, since (another humble brag) I’ve been told that I look younger than my real age. If you do nothing else, you have to watch her video, and then the other bizarro ones that pop up in your search for facial yoga. I guess this one isn’t as weird, but it definitely isn’t common. I actually read about drinking apple cider vinegar a couple of years ago, but I didn’t decide to try it until recently. It’s supposed to aid in removing toxins from your body (like oil-pulling), clear up your skin, and it even has potassium in it! When I’ve used it, I have noticed a change in the way I feel, so it’s definitely something I’ll continue to do. I drink a mixture of it (1 tbsp in a cup of water) right after I’m done oil pulling. 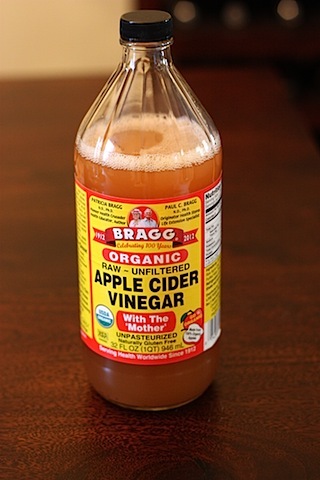 If you’re going to try it, I recommend the Bragg brand, because it’s organic and unfiltered. I’ve now proven to all of you how um, different I am. But when I’m 90, looking like a 40-year-old in excellent health, you’ll all wish you listened to me. If you try any of these, let me know!